It is true; many home builders consider swamp coolers to be an outdated form of air conditioning. 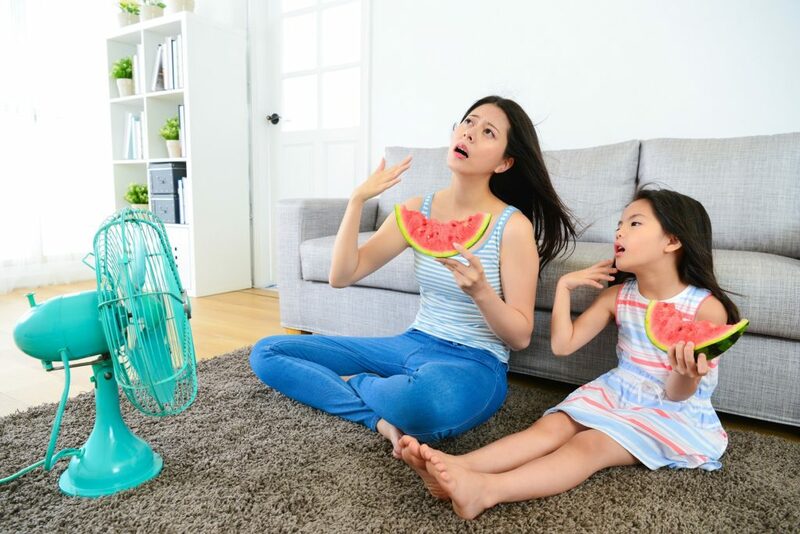 Refrigerated air is simply a more reliable and advanced system for cooling the home during hot El Paso summers. If you have a swamp cooler in your home and are unimpressed with its performance, it may be time to consider converting to refrigerated air. Making the switch can offer plenty of advantages. As we enter into the cool weather of fall it can be the best time to make the switch. You won’t have to endure any long hot days without the comfort of air conditioning during the installation process. Take a look at some common FAQs. Is Converting to Refrigerated Air More Expensive? It is true, the upfront cost of converting can be expensive. A new refrigerated unit can be three times the cost of a swamp cooler. However, there is plenty of good reasons. First of all, a well-maintained refrigerated unit can last three times as long as a swamp cooler. In the time that you replace a swamp cooler twice, you could still be running the same refrigerated AC. Secondly, consider the expense of buying new swamp cooler pads every year. This can cost $100 a year. In the time that a swamp cooler lasts, seven to 10 years, you have paid double because of the pads. Thirdly, a refrigerated AC is simply more reliable. They don’t require the constant upkeep and maintenance that evaporative coolers can cause. Will My Current Ductwork Need to be Replaced? In most cases, your current evaporative cooler ductwork will be sufficient for a new refrigerated air conditioner. Finding out is as simple as having your AC contractor run an inspection. They will ensure that your ductwork was installed properly and is sufficient. The most common causes of needing new ductwork happen in older or unmaintained homes where the system can have rust issues or obstructions. Is Refrigerated Air Conditioning More Efficient? When you are done converting to refrigerated air you will notice a big difference in your home. Namely, your AC will not need to constantly be running to reach optimal temperatures. When the air in your home reaches the set temperature the AC will cycle off. This means you will use less electricity to cool your home. It is also important to note that refrigerated units are not hooked up to your water line and do not use water utilities. If you are done considering converting to refrigerated air and want to jump into action, Omega Electrical and Mechanical Contractors are ready to help. We will come, inspect your home and make recommendations for the right size and brand AC for your home. Contact us today to get started.